Libraries are the spine of any elegant society and the heart of any academic institution. Thus the CENTRAL LIBRARY at ASHOKA also acquires a prominent place among the students and faculties. CENTRAL LIBRARY is one of the best engineering college libraries in the eastern UP. 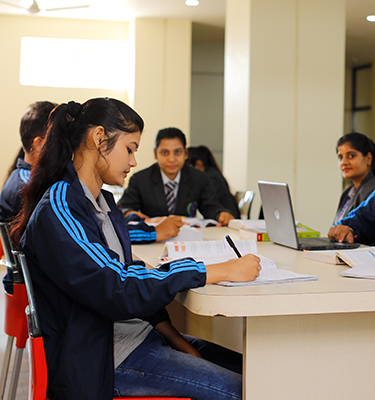 The institute has a spacious CENTRAL LIBRARY with an area of 30,000 sft. spread over. Library accommodates Circulation Books, Newspapers and Back Volumes of the Periodicals, Reference Books, Current Periodicals, and so on. It has modern infrastructure with a reading capacity of 500 students. Every faculty/student entering into the library has to put thumb impression through biometric machine instead of the manual gate register, which is mandatory for check in and checkout of library users. It has a collection of 22,012 volumes of books with 3452 Titles. It has subscribed Online Journals of IEEE, J-GATE, ASTM, EBSCO, BENTHAM etc and e-books of World eBook Library and it has subscribed more than 89 Indian and International Journals & Magazines in Print. Digital library is equipped with 30 systems to access E-journals & E-books. In addition Multimedia E-Learning Center and photocopying are made available for the convenience of the users. NPTEL Facility (National Program on Technology Enhanced Learning) to access web & video lectures is available in the library. It also provides National Digital Library of India facility for huge collection of e-Learning resources with a single window search facility. The Center Library is equipped with an Integrated Library Management System (ILMS) with Barcode Scanner that supports all in-house operations of the library. 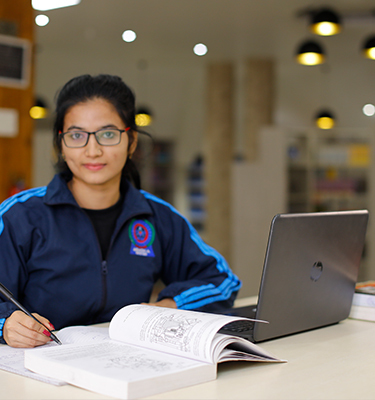 Library and Information Centre provides uncompromising information and caters to the intellectual requirements of its students and faculty members with user-friendly approach. It offers a fully integrated and dynamic environment for conducting academic and research activities. Multiple copies ensure that resources are easily available in Reference Section and Stack Area as well. Central Library is Wi-Fi enabled and under CCTV surveillance.